Part of the mission behind what I’ve been doing for the last few years is to document less common, unreleased games, prototypes, and the media related to them. Even with all the work I’ve done, it was never expected that unreleased content would come into my possession, but I knew exactly what I would do should it happen. Thanks to a friend of mine we were able to secure an undumped prototype and went right to work. The disc contained containing it was created using a mixed mode single session making the conversion to a file that would work on actual hardware or with emulators difficult. Thankfully my friend Comrade Jarad is always on board to help and solved what ended up being a simple solution. So a very brief history regarding this game. It started off as IMSA Supreme GT with the PC and PSX version being built side by side by two different companies. Image Space Inc for PC and Point of View for PSX. Westwood Studios was also on board assisting with both versions. Both versions released in early 1999. So back to this Alpha build. It was released via ASSEMblergames on December 3rd, 2014. Files in the game pointed to an earlier build known as Prototype 4, but the trail ended there. So here we are, actual confirmation alongside the physical release of the long-rumored Alpha 4. 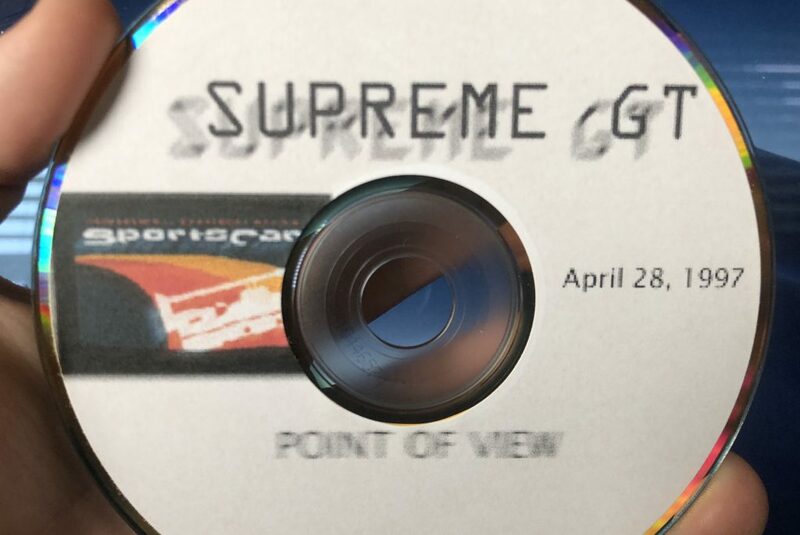 This version is dated April 28th, 1997 making it 1 year and 11 months older than the official release version and three months older than the other released prototype which again is dated July 15th, 1997. I also think it’s important to note that the July 15th version is a Milestone build meaning it was specifically produced to meet certain requirements from the company funding the project. If you follow canceled games at all, missing these milestones more often than not means the end of games development as coffers run dry. 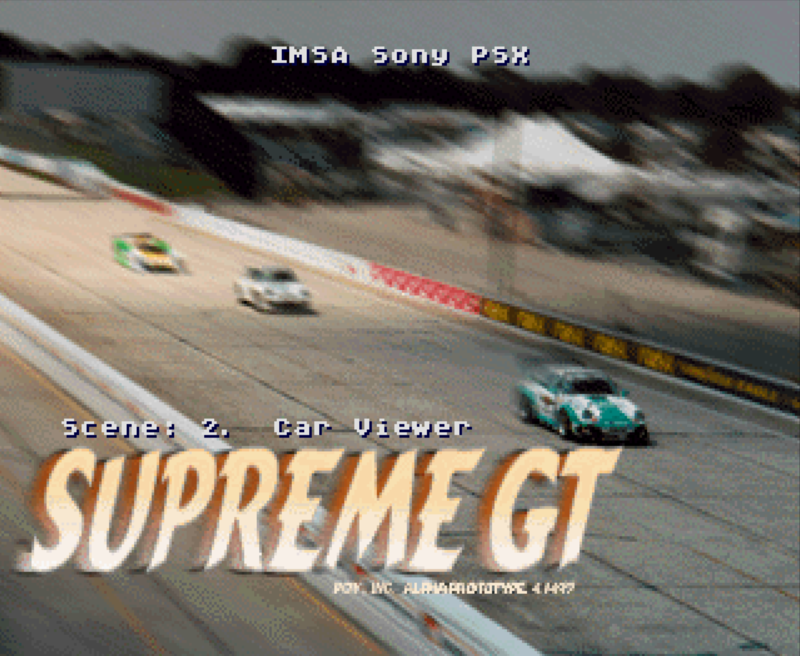 Focusing on the version we are releasing today, the opening screen designates the name as IMSA Sony PSX. For those unaware, the PS1 wasn’t called PS1 until Sony released the mini version of the console calling it the PS1 so people wouldn’t confuse it with their newly released PS2. Back when this game was in development, the name often used to reference the hardware was PSX and this of course is the version for that hardware. It’s not much of a game, but it’s fun to check out a project in its early stages. It has one playable track and a car model viewer making it worth loading into an emulator at a bare minimum. Thanks to everyone involved in helping to rescue and release this piece of gaming history. Once again thanks to Jarad for helping package this and prepare it for public release. First off you might notice there’s a song by Moby (Oil 1 from The Saint OST). It’s the only track included. You can’t change it or turn it off. Pressing left and right gives the player two options. In this build, you have the Aurora (included in the later build), a BMW, and three builds of the Porsche 911. Note that when you start this mode you will be looking at a computer controlled car. Press R1 to change the view back to the player controlled car.